Logical thought could have safely concluded on November 3rd that yes, Barack Obama would be elected President, and yes, the new Q-Tip album would be good. It is very unlikely that the release date of Q-Tip’s official sophomore LP was coincidental. The fact that The Renaissance – a title which evokes a “new day” theme consistent with the presidential campaign of Barack Obama – hit stores on the same day as the 2008 General Presidential Election has allowed parallels between both events to become essentially conspicuous. Despite hopeful feelings in both cases just a year ago, the prospect of Q-Tip actually releasing an album in 2008 might have seemed about as likely as Barack Obama securing the Democratic nomination for President by defeating a political juggernaut as formidable as the Clinton family. Fast-forward to September 2008: not only had Obama become his party’s nominee, but Q-Tip appeared poised to finally break out of recording purgatory with a concrete release date for an album. If I were to forgo objectivity for one moment, I might safely assume that most people with any hope invested in how good The Renaissance would be, felt similarly – although likely on a much larger scale – about the outcome of the November 4th election. Considering both Obama’s polling numbers in the late stages of the campaign as well as the fact that – despite initial unenthusiastic responses to a few projects – Q-Tip has never been a principal artist on a project that could be considered bad by any means, possibilities of major disappointments in either outcome may only have existed in the minds of those frightened by high hopes and disillusioned by a status quo in which suppression of such hopes has become standard procedure. Logical thought however, could have safely concluded on November 3rd that yes, Obama would win, and yes, the new Q-Tip album would be good. A harder prediction would have been the actual outcomes in each case: Obama won resoundingly and The Renaissance is really, really good. Q-Tip’s infinitely smooth flow and unparalleled rapping voice has gained him status as one of the most instantly recognizable emcees ever. His stylistically distinct presence was somewhat of a double-edged sword for both A Tribe Called Quest and Q-Tip himself. Admittedly, it is nearly impossible to envision A Tribe Called Quest gaining such an enormous level of influence with out that buttery, smooth voice. There is, however, a sense of injustice in the fact that one member consistently seemed to outshine others in a group whose extraordinary success was achieved only through integral contributions from each member. Still, it was somewhat unreasonable that Tip outwardly shouldered a majority of the impossibly colossal expectations requisite for any group who exhibits the type of artistic innovation and influence of like that of A Tribe Called Quest. Q-Tip’s forte has always been the way he implemented his unique methods in such a breezy way. Like jazz musicians, from whom he has drawn tremendous influence in architecting his craft, he performs in a way that makes what he does sound easy. An artist with such appeal will most likely find himself in a Catch 22 when it comes time for artistic growth once the public’s fascination with initial work fades. With such a level of originality and a rabid fan-base, Q-Tip is a textbook example of an artist with significant susceptibility to eventual self-parody. Should he rest too heavily on laurels after fans have spun their cassette tapes into unplayable oblivion, he’ll be accused of boring reiteration. On the other hand, as much as they may reject an approach like that, fans are even more afraid of change, almost assuring negative responses to any departures from what is expected. Though it may not have seemed so at the time, Q-Tip owes his continuing relevance to the fact that he and A Tribe Called Quest took the more risky choice when it came to growing past their preliminary run of three consecutive masterpieces from 1990 to 1993 (People's Instinctive Travels and the Paths of Rhythm, The Low End Theory, and Midnight Marauders). Jay Dee (J Dilla) was brought in to form the Ummah, the production team responsible for a majority of the beats on each of the two post-M.M., Tribe LPs (Beats, Rhymes and Life and The Love Movement) and Q-Tip’s 1999 solo debut (Amplified). Aversion to the relatively smoother production of the Ummah afforded each project a substantial amount of early derision. Now that J Dilla has passed and has since achieved near-unanimous admiration as a genius, those albums are now viewed as borderline-great, if not classic, works. In 2008, nearly ten years and two shelved albums since his last official release, Q-Tip is still his classic self. 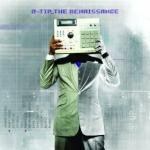 The cover art for The Renaissance, showing Tip holding an Akai MPC (perhaps the ultimate symbol of ‘90s hip-hop) in front of his face with half of his body colored silver evokes a sense of past-meets-future and serves well as a metaphor for the album’s style. It’s as if he found a perfect balance between reminding listeners why they liked him in the first place and pushing his sound forward enough to silence claims of lazy reliance on the past. With the exception of the J Dilla beat on “Move”, Q-Tip produced The Renaissance himself. The production generally sticks to the Ummah-era aesthetic – smooth, soulful, jazz-infused. Occasionally though, Tip will throw some modern elements into a beat. “Shaka” sounds like classic Tribe except for the fact that synthesizers have taken the place of formerly typical jazz-samples. Manwomanboogie places chaotically fast-paced drums over a funky bass-line for verses which transition to a great, melodic chorus from Amanda Diva. No one would deny that Q-Tip understands how to make good hip-hop. What makes his new album so good though, is the sheer energy with which he was able to infuse these songs. Considering the catastrophic effects major-label delays and shelved projects have had on the creative capacity of certain artists, it is truly amazing to hear Tip sounding like he actually had fun making this music. The closest Q-Tip comes to actually complaining about his decade-long predicament is on the excellent “Dance on Glass”, which kicks of with a minute-plus a cappella rap. While he does cryptically express distaste with some current, likely disposable hip-hop trends a-la “Phony Rappers”, the track plays primarily as a celebration of both his ability to put all negativity in the past and his thankfulness for the opportunity to have finally regained a forum for artistic expression. The following track, “Life Is Better”, completely disproves any notion that Tip has become a bitter rapper. An ode to his music’s history, the song consists of shout-outs to originators ranging from DJ Cool Herc to Lil Wayne. The Renaissance feels like a complete album. Each song has distinctive characteristics, and brilliant sequencing allows for seamless transitions between tracks. Q-Tip claims, in the album’s first verse, “Its time for me to bring back the hope / Put feeling in the music that you can quote." Best believe. Had The Renaissance come out in the early '90s, some of these songs would now be ingrained in public consciousness with the type of universal quotability attained by classic tracks like "Can I Kick It" or "Check the Rhyme".